Predictably, every time you give the name of a contrarian doctor or scientist in response to the 99.9% figure, what you tend to get is, “Eh, well, he’s a quack, she’s not credible.” Also, you get referred to blogs such as Science-Based Medicine, or Respectful Insolence, or the Skeptical Raptor’s Blog. They’re often written by or associated with a guy named David Gorski, MD, who also goes by the alias “Orac.” Gorski is a surgical oncologist and an assistant professor of surgery at Wayne State University School of Medicine in Detroit, MI. First, let’s start with David Gorski. I’m guessing that 99.9% of you know who Dr. Gorski is. If you don’t, well, we need to expand your knowledge base. He’s one of the contributors (but not the only one) to Science-Based Medicine, a website that is probably the first on my list when I need to find out more information about any pseudoscience or junk medicine. Gorski’s is an MD and Ph.D. and specializes in surgical oncology. Gorski is regularly attacked in blog articles from websites like the Age of Lying about Autism, and on Twitter. I usually watch Dr. Gorski’s Twitter stream while eating lunch. It’s fun. Really, not quite as entertaining as seeing Rick miraculously evade a whole herd of zombies (oops, I mean walkers), but pretty close. Now the second part of this conspiracy is that David Gorski is Orac. Whether he is or not is up for debate. Orac’s identity is one of the best kept secrets on the internet, right up there with President Obama’s desire to institute Sharia Law. I’m sure that di Iorio is proud of himself so far. We can safely conclude that he knows a bit about Google. First, I make such a minimal impression on internet trolls that they conflate me with Gorski. Or Second, I should just accept it. I hope that Gorski will start writing here, and I can go cruise the internet for information to improve my fantasy hockey team. It’s in 8th place. In an eight-team league. Balls. My first instinct is to just let this go. I know that 99.9% of the readers here know who Gorski is. And I’m guessing that a few of you know who I really am. Gorski likes the Detroit Tigers. I like baseball, but my general support goes to any team that’s not the New York Mets or New York Yankees. Gorski went to the University of Michigan, a fine school. I did not go to the University of Michigan, though I have visited Ann Arbor on several occasions. Gorski is an oncologist. I know how to spell oncology correctly 99.9% of the time. Gorski lives in Detroit (or someplace close to Detroit). I used to fly through Detroit when I was a Republic Airlines frequent flyer. OK, you really have to be an expert of airlines to remember Republic Airlines. Gorski writes on like 500 different subjects in medicine. I focus on about 10 different topics. some of which he addresses maybe once a decade or something. Gorski is very snarky. OK, you got me, there’s the evidence. The dots connect. Oh, we are also both card-carrying members of the Reptilians. The anti-vaccine trolls probably won’t be surprised by that admission. Look, anyone who reads this blog carefully probably knows that Gorski occasionally gets annoyed with my comments. Sure, this could be some elaborate ruse of someone with a personality disorder, but, relying upon parsimony, the simplest explanation is that we are two different people. So are we now clear? By the way, I have it on good authority that certain individuals will clear their good name from being associated with me. 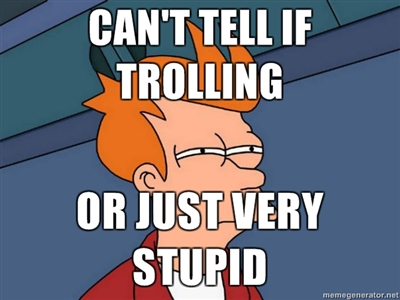 And Orac decided to respond to anti-vaccine trolls by also denying that Orac is Spartacus. Good to know. Enough with David Gorski. I mean, with respect to this internet troll. I’ll continue to quote him in the future. Here’s how it usually goes… You say you have some doubts about vaccine safety and all those vaccinations the government requires you to give your kids. You say you’re concerned about serious side-effects you keep reading about, and particularly potential links to autism and autoimmune disorders, and the reports of encephalitis and shock. A typical response from mainstream proponents of vaccines would proceed like this… Oh, you’re being silly, you don’t know the science. Look, 99.9% of all doctors and scientists will tell you that vaccines are safe and effective. The science is solid, it’s long been proven beyond a shadow of a doubt. Ninety-nine point nine percent. That sounds pretty convincing. As I’ve said about a hundred times, literally, science is not an election. I do not care if 99.9% or 50% or 1% of qualified and educated scientists agree or disagree with something. I only care about the evidence. And here’s the thing – the scientific evidence overwhelmingly supports the fact that vaccines are safe and effective. Not “beyond the shadow of a doubt,” because that’s not science. Science does not make dogmatic statements, only those who have “beliefs” that ignore evidence. 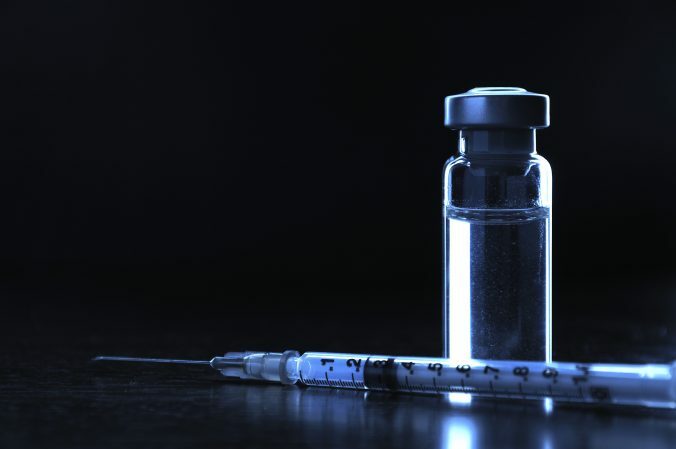 Of course, it’s unclear what formula, study or survey was used to come up with that figure, so you start to do your own research, and you quickly realize there are lots of doctors and scientists, in addition to well-informed parents, journalists and consumer advocates, who do not subscribe to the establishment’s mantra about vaccine safety and effectiveness. They do not believe the myth that the science is settled, and some are very vocal about their reservations or opposition to it. Ah yes, the old “doing your own research” gambit. So I’m supposed to accept the rantings and claims of any charlatan on the internet? That’s why scientific evidence matters – quantity and quality of such evidence are what makes science, and science-based medicine so special. One of the most irritating problems I have with the anti-vaccination movement is their over-reliance on false authorities, where they trumpet the publications or commentary from someone who appears to have all of the credentials to be a part of the discussion on vaccines, but really doesn’t. But I don’t really care. Evidence matters and Obukhanych has none. She’s published nothing regarding vaccines. Nor has she ever done research in a real lab to support any of her antivaccine ideas. Without a doubt, she’s a joke. Then, the irony meter blows up. Seriously, di Iorio owes me a new meter from Amazon. Although he deleted several sections of his post (embarrassment perchance? ), he turned around the “appeal to authority” and claimed that various people like Dr. Bob Sears know more about vaccines than me or Gorski or Offit. That’s rich. 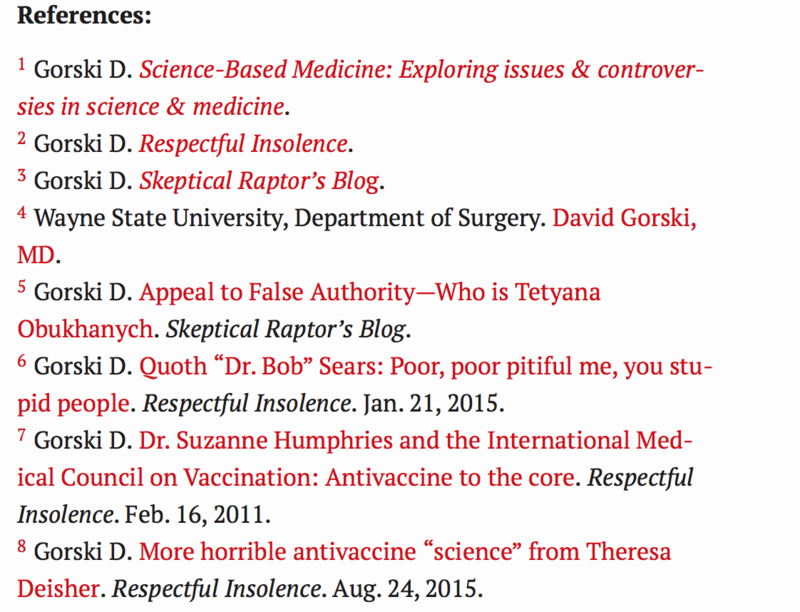 Or that Dr. Diane Harper is a “renowned vaccine researcher”? That’s relying upon the appeal to authority using someone who is actually pro-vaccines, but has a rather confusing personal record of what she supports and doesn’t support with regards to one vaccine – Gardasil. She has recently commented publicly on the importance of the HPV vaccine. Well, this was the funniest connect the dot exercise ever. I see randomness. Or maybe a seagull. Can’t tell for sure. So yes, if you take Orac’s trolling and his blogs seriously, you are likely to believe that 99.9% of all doctors and scientists are enthusiastically onboard with the mainstream vaccine paradigm, because you have automatically excluded all those who Orac and others like him are afraid of and try really hard to discredit and silence. An internet troll is defined by someone who “sows discord on the Internet by starting arguments or upsetting people, by posting inflammatory, extraneous, or off-topic messages in an online community with the deliberate intent of provoking readers into an emotional response or of otherwise disrupting normal on-topic discussion, often for their own amusement.” I don’t do this for my own amusement (other than to mock stupidity, like di Iorio’s). I attack the anti-vaccine religion because of their lies, misinformation, science denial and ignorance cause harm to children. That’s it. I’m sure my sock-puppets, Orac and Gorski, do the same. 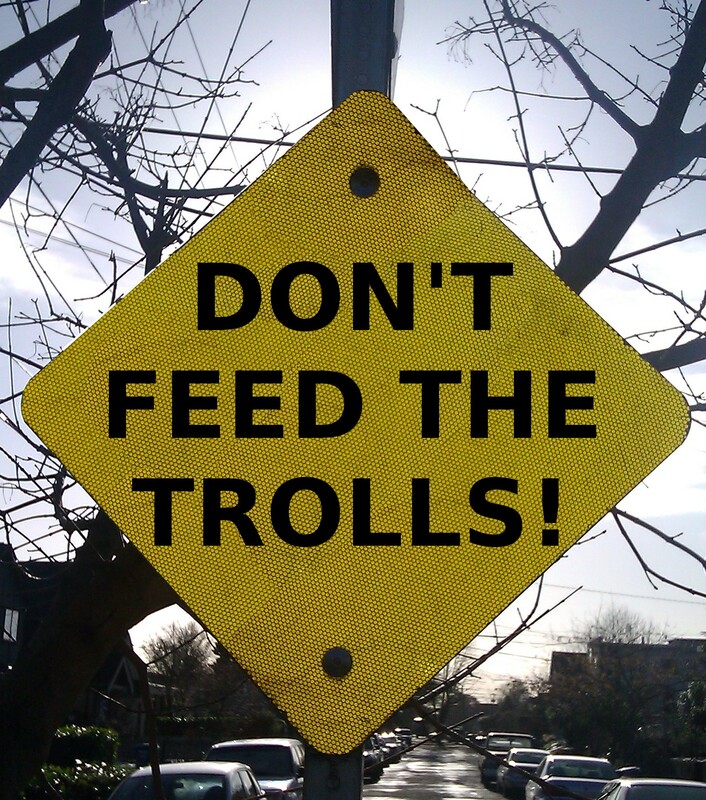 We stand up to the anti-vaccine trolls, because they are trolls. Oh, and cognitive dissonance? You keep using those words di Iorio…I don’t think it means what you think it means. I had fun with this. Now let me read some more of di Iorio’s trolling blogs on vaccines. He’s apparently got a few, one where he thinks that Trump and Carson actually know anything about vaccines. That should be worth a laugh or two. Oh, and di Iorio? Yeah you, trolling this blog. There’s no debate about vaccines, except in your simple mind. The science regarding the safety and effectiveness of vaccines is settled. ¿Lo entiendes? By the way, I think I got that merit badge. Maybe Orac will pin it on me. He’s a surgeon, so I’ve got to believe he won’t hurt me too badly. This article was originally published in November 2015. It’s been updated to remove some dead links, update the formatting, and fix some spelling and grammatical errors. The usual stuff. Also, the old dinosaur will be linking to this article a few times in the next couple of weeks, so it’s good to clean it up. And this was written back when I was amused by the anti-vaxxer trolls. Now, my sense of humor about the anti-vaccine terrorists has nearly disappeared.